1.Click the "New task" button on the main toolbar. 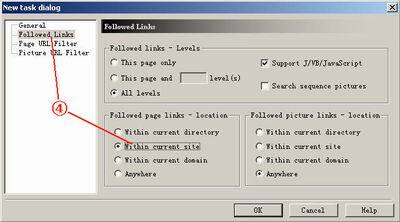 2.Enter the starting address (URL) of the Web content or site you wish to download. 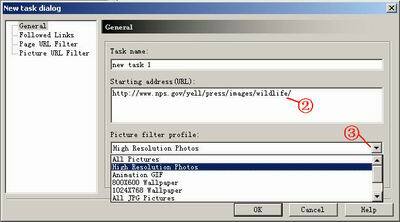 3.Select a picture filter profile. 4.Select some other setting if you need. 5.Click "Start" button on the main toolbar to start the download. If this is a new project, PicaLoader will prompt you to save project first.